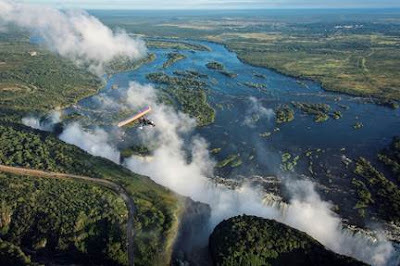 A daring highlight of visiting Victoria Falls is swimming in Devil’s Pool. 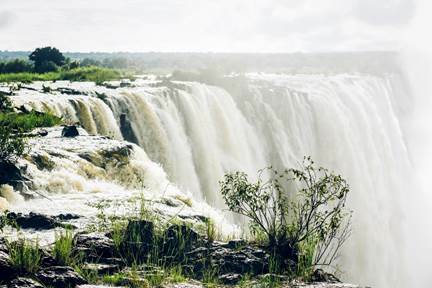 This uniquely located plunge pool resides right on the edge of the Falls, where the thundering cascade plummets 350-feet, providing a pulse-racing dip for those brave enough to venture into the Zambezi River. The pool is also special in that it can only be accessed between mid-August and mid-January, before the summer rains swell the river. Afterwards, the pool remains hidden and off limits under the river’s pounding flow. 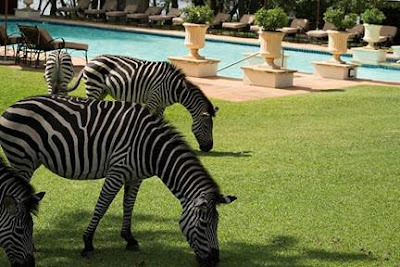 Equestrian enthusiasts can head off on a horseback safari alongside the Zambezi and through the surrounding forest to catch close up glimpses of African wildlife. 4x4 safari drives explore a heartland of broad plains and wilderness, with seasoned guides heading to prime spots to track a diverse range of free-roaming animals, including the mighty Big Five of lions, elephants, rhinos, buffalos and leopards. 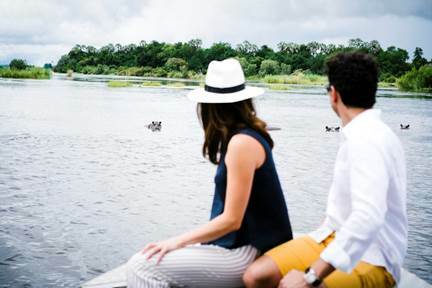 A full-day outing into nearby Chobe National Park is a must-do for animal lovers. Everydayfoodilove.co/ angeline-ong-yoga.blogspot.com. Thank you for reading our posts. Our team media coverage touches mostly on lifestyle events and focuses on happening scenes in Kuala Lumpur and Kota Kinabalu. Invite us for food review facebook page. Contact us via my email at: angel_line78@hotmail.com or monicaong@hotmail.com views, travel and hotel reviews, KL clubbing reviews and product launches. Our other interests include the movies, technology and photography.